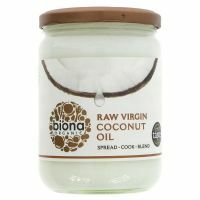 Biona organic believe in great tasting,thoughtfully prepared food to complement an ethical lifestyle. Their farmers do not use chemical pesticides or herbicides on crops, and they do not grow genetically modified plants. 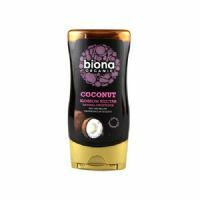 Biona also ensure that they only use sustainable farming methods and that land is not farmed intensively. 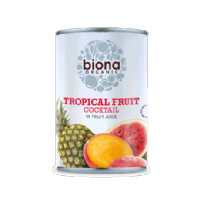 They believe in 100% traceability for all products, ensuring that all ingredients are of the highest quality and completely natural. Biona quality cooked Organic Aduki Beans in water with no added salt. 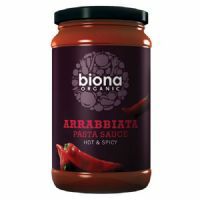 Hot and Spicy Organic Arrabbiata Pasta Sauce. 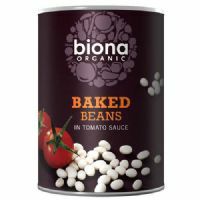 Organic Baked Beans cooked in a rich tomato sauce. Low in sugar and salt. 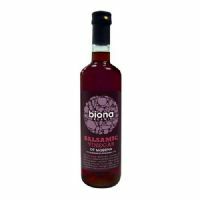 Balsamic vinegar produced from the juice of selected organically grown grape varieties in the Italian province of Modena. Organic Black Beans in water. No added salt. Organic Black Eye Beans in water. No added salt. 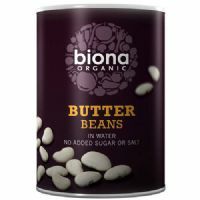 Organic Butter Beans in water. No added salt. 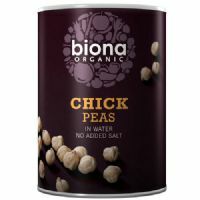 Organic Chick Peas in water. 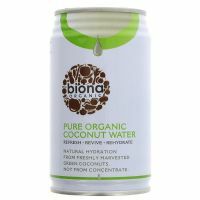 No added salt or sugar. 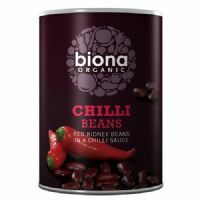 Organic Red Kidney Beans in a spicy tomato sauce. Classic tomato ketchup in an easy to use squeezy bottle. 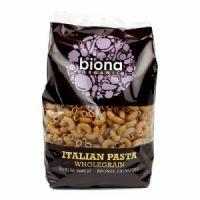 Biona Organic Durum Wheat Fusilli. 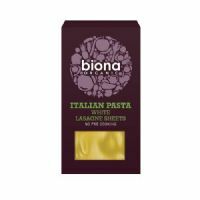 Biona Organic Durum Wheat Penne. 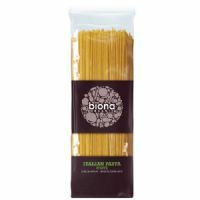 Biona Organic Durum Wheat Spaghetti. 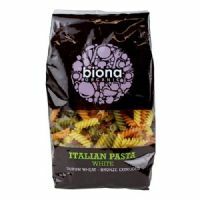 Biona Organic Durum Wheat Tricolour Fusilli. 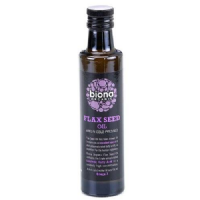 Organic Flaxseed Oil from organic agriculture. Organic Green Lentils in water. No added sugar or salt. 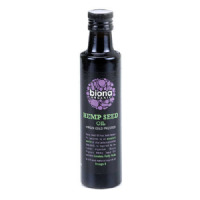 Organic Hemp Seed Oil from organic agriculture. 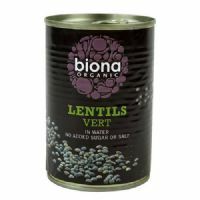 Organic Lentils Vert in water. No added sugar or salt. 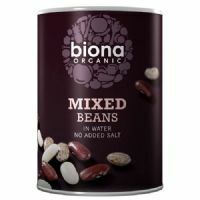 Organic mixed beans in water. 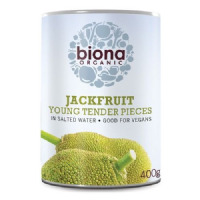 No added salt or sugar. 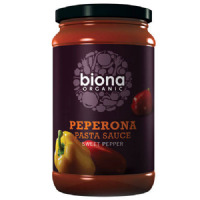 Organic Sweet Pepper Pasta Sauce. 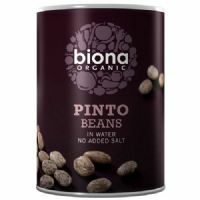 Organic Pinto beans in water. 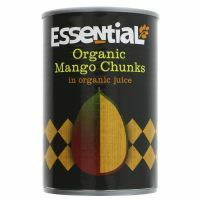 No added salt or sugar. 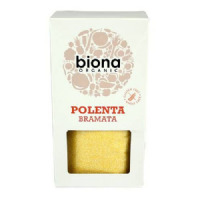 Organic Polenta - 100% Organic Cornmeal. 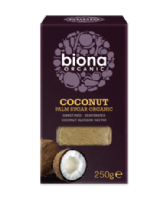 Organic pure oaty crunchy granola. Organic Red Kidney Beans in water. No added salt or sugar. 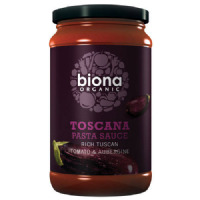 Rich Tuscan Organic Tomato and Aubergine Pasta Sauce. 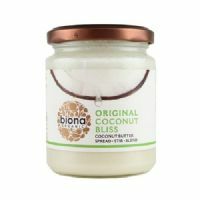 Biona Organic White Spelt Fusilli. 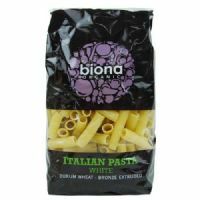 Biona Organic White Spelt Penne. 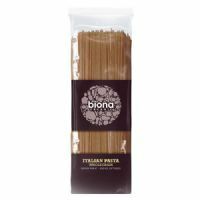 Biona Organic White Spelt Tagliatelli. 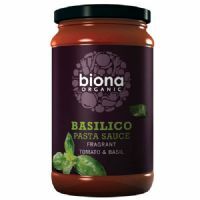 Biona Organic Wholegrain Spelt Fusilli. 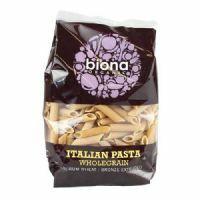 Biona Organic Wholegrain Spelt Penne. 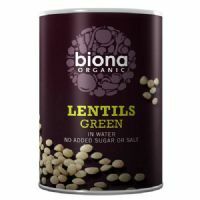 Biona Organic Wholegrain Spelt Spaghetti. Wholegrain Granola with raspberries, blueberries, strawberries and blackberries. Mildly spiced Organic Satay Sauce.